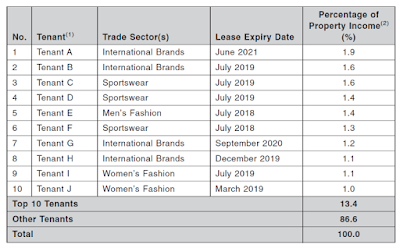 Sasseur REIT is an upcoming Chinese outlet mall portfolio that is currently open for IPO applications and will soon be listed on SGX. 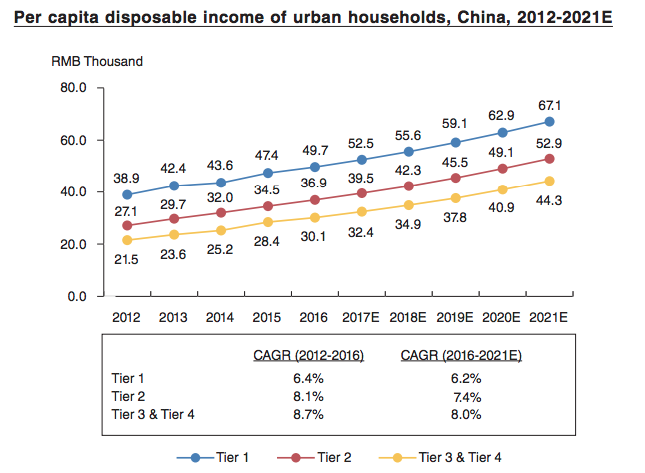 This is the third retail REIT in the People's Republic of China (PRC) to be listed here - BHG and Daisin Retail Trust are the other two - pointing to the growth in the spending power of the Chinese middle class, which is expected to continue growing. With a CAGR of over 24% per annum, it is expected that China outlet malls will become the biggest in the world by 2030, surpassing the outlet mall markets in Europe and USA. While I wouldn't place too much emphasis on these estimates, I would however review this IPO as both a dividend and growth stock for the future. 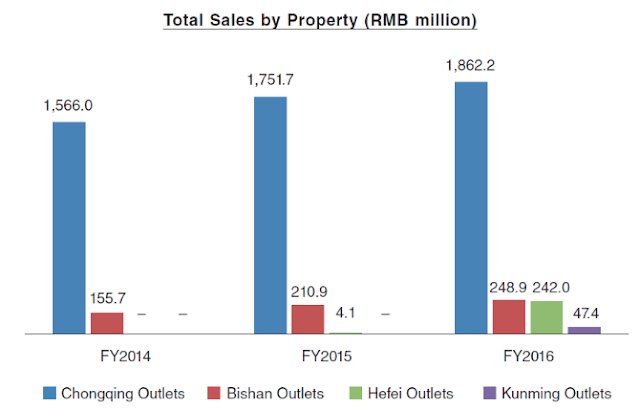 You'll currently be buying into a portfolio of 4 retail outlet malls located in Chongqing, Bishan, Hefei and Kunming. - IPO closes on 26 March at noon. 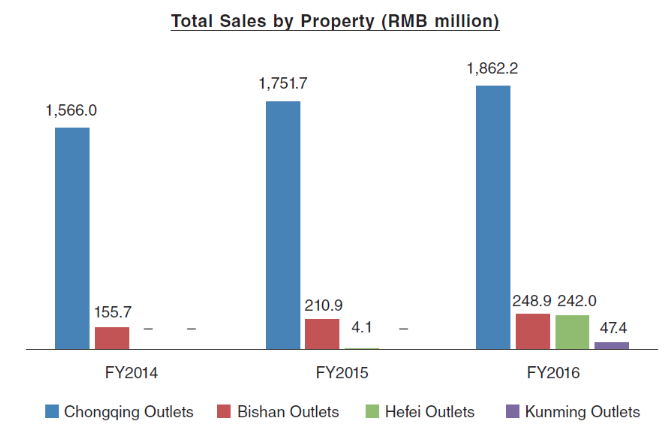 Sasseur REIT owns and manages four outlet shopping malls in China, valued at RMB 7.34 million (or S$1.5 million) in total (although I would take these valuation numbers with a pinch of salt). All of these outlet malls have an occupancy rate of above 90% each, with land tenures of 30 - 37 years and includes 4,466 car park lots (translates into extra revenue for the REIT). The PRC outlet market industry has experienced a compounded annual growth rate (CAGR) of 30.8%, and is expected to continue its growth at a 24.2% CAGR from 2016 - 2021. Most of you should be well familiar with how the Chinese shop and spend by now, but if you haven't seen it for yourself, I kid you not when I say they can go insane at outlet malls. I saw this firsthand in both the US and Italy where the PRC folks were buying bags and bags of discounted branded stuff...whereas all I walked out with was a pair of Nike shoes, lol. These outlets get so much sales from the Chinese that even their salespeople are trained to speak in the language (I remember the shock I got when I saw the Italian salesman speak in Chinese to a PRC customer!). The concept of "face" or "mian zi" is huge in China, and you only need to see them buying to be convinced of this. Sasseur REIT offers an opportunity for investors to ride on this trend. 2. High occupancy rate and low tenant default risk. Their outlet malls at Chongqing, Bishan, Hefei and Kunming have high occupancy rates of 96.4%, 91.5%, 95.8% and 96.1% respectively. This comprises of over 1,119 tenants which means that even if a few tenants were to default, it should not pose too much of an impact to Sasseur REIT. 3. Strong sponsor and sponsor interest. The sponsor is Sasseur REIT is one of China's largest retail outlet mall operators, Sasseur Cayman Holding Ltd, which was founded in 1989 and currently manages 9 retail outlets in China. They will be the largest single unitholder with a 55% to 58% interest, which represents good news to retail investors since there will be a strong incentive for the Sponsor to ensure the REIT performs well. The sponsor also had a 2 billion net profit for FY2016 (S$420 million) which signifies a relatively strong financial position. 4. Positive management fee structure. The manager will receive a 10% per annum base fee of the REIT's distributable income, together with a performance fee of 25% of the difference in DPU between each financial year. I like how this management fee structure is based on distributable income and DPU growth, which further aligns the interest of the manager to ensure that the REIT does well. 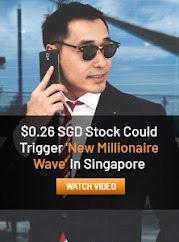 The list includes prominent investors like JD.com (through their subsidiary, Adroit Ideology Limited), Bangkok Life Assurance PCL (a leading life insurance company in Thailand) and CKK Holdings (which operates Charles & Keith and Pedro). The expected distribution yield is 7.5% for 2018 and 7.8% for 2019. I'll look at the most conservative figure in this case, which would be the 6.1% forecast yield for this year without factoring in the EM agreements. As a dividend stock, 6.1% is a fair yield that I would accept for a REIT investment, which is higher than Suntec REIT (5.2%) and Capitaland Retail China (6.0%)...although it still can't beat my Sabana REIT which is giving me a historical yield of over 10% based on my last purchase price, heh. 7. 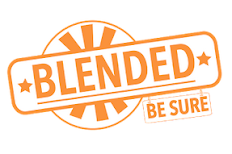 Fixed and variable income model. The structure of most REITs are easy to understand - they lease out their assets and collect rent from tenants, which they then distribute to unitholders. However, Sasseur REIT adopts an interesting model that warrants a second look and further evaluation on its merits and downsides. Instead of a pre-agreed rental model, or even one with escalating lease agreements structured in, Sasseur REIT instead receives a percentage of the tenant's sales turnover as rental. What this means is that Sasseur REIT's income is highly dependent on the sales performance of its tenants, and dividends could therefore vary from year to year. To incentivise consumer spending and sales, Sasseur REIT offers a VIP membership program where customers qualify by spending more than RMB 600 at any one of its outlets. At the moment, there's over 809,000 VIP members who contribute 50% to 65% of the sales in its outlet malls. 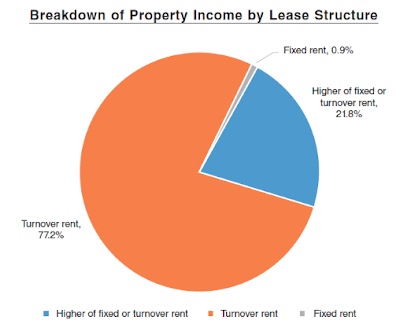 Aside from these sales-based leases, a small proportion of Sasseur REIT's tenants are under conventional lease models where they pay a fixed rent, or the higher of turnover rent and fixed rent. These tenants include the F&B operators, cinema and other entertainment or lifestyle providers. Its fixed income portion also comes from the fact that in the event where the resulting rent falls below the Minimum Rent, then Sasseur REIT shall be entitled to receive the shortfall. 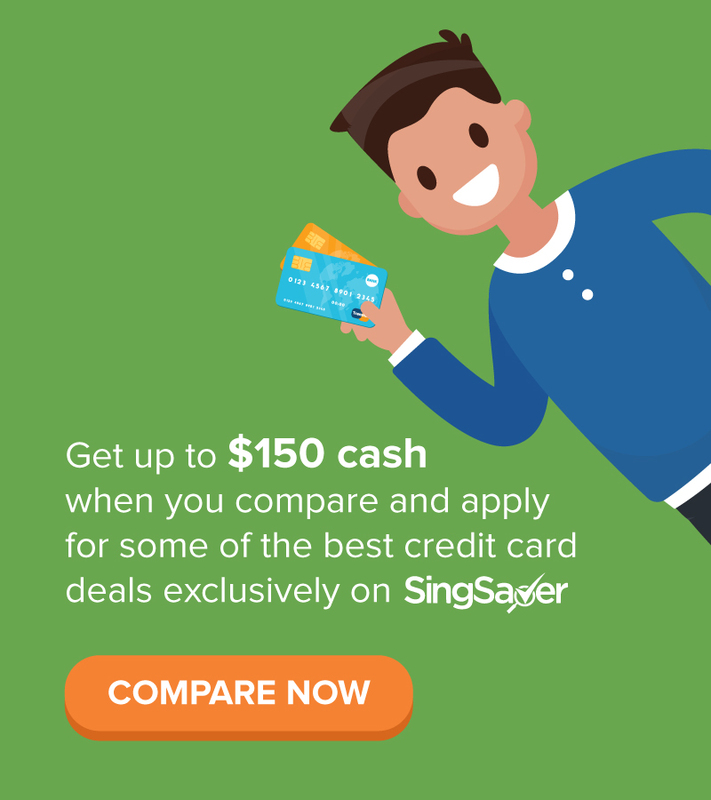 (RMB 472.9 million or S$95.9 million for FY2018, and RMB 611.4 million or S$124 million for FY2019). This basically provides income support to Sasseur REIT for the first two years whereby it is guaranteed a minimum rental, but will fall away in 2020 onwards. Unless the agreement is restructured to guarantee the minimum rent payment to the REIT after 2019, we could potentially see a drop in the REIT's income, especially if economic conditions worsen or if the Chinese cut back on their spending at outlet malls. If you're investing into Sasseur REIT, you probably should keep an eye on how it'll perform from the third year onwards. Another point to note is that the percentage of distributable income will fall by 10% after two years. 2. Extremely susceptible to economic cycles, especially recessions. The outlet malls that Sasseur REIT owns are mainly focused on discounted luxury and high-end brand items, which makes them highly susceptible to economic cycles. In an economic boom and growing disposable income, all will be good; but in a recession where consumers tend to cut back on their discretionary spending, Sasseur REIT will surely be impacted negatively, and even more so because their rental model is based on tenant sales turnover. Sasseur REIT claims that "the outlet mall industry tends to exhibit counter-cyclical characteristics and resilience during economic recessions" (page 32) but I don't know how the US market consumer behaviour is supposed to be representative of how the Chinese will react in similar conditions, plus that runs contrary to what I believe so I'm just going to brush this claim aside as marketing speak. 3. Heavy exposure to fashion. 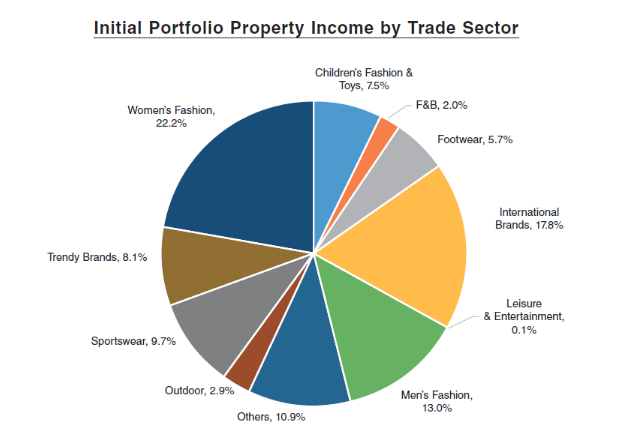 Fashion accounts for almost half of Sasseur REIT's portfolio property income. 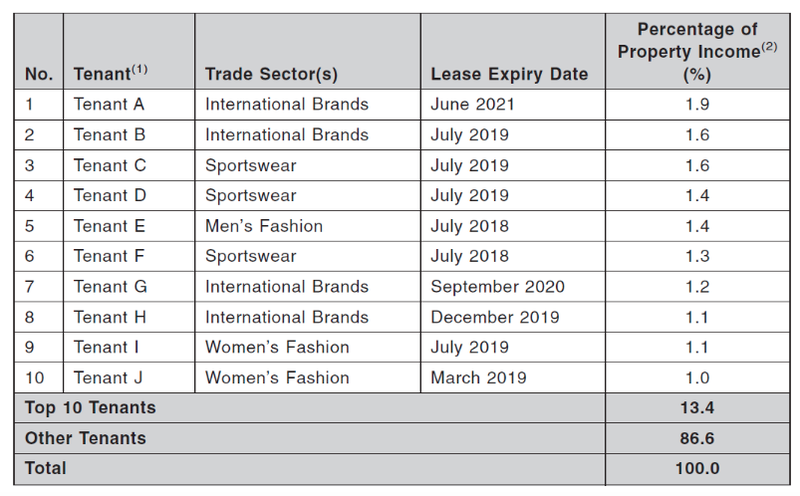 In times of recession, we'll probably see this discretionary spending on clothes and fashionable apparel be the first to go. 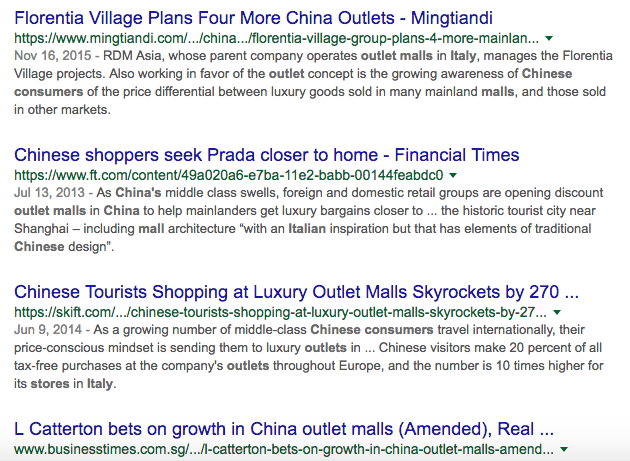 Another factor I'm pretty uncomfortable with is the fact that out of its 4 outlet malls, Sasseur REIT derives a majority of its sales and revenue from its Chongqing outlet. Take a look at how the different malls compare. Now, there's a good explanation for this - the Hefei and Kunming outlets became operational only in 2016, so there's limited data for us to analyse. In contrast, Chongqing has been operating since 2008. 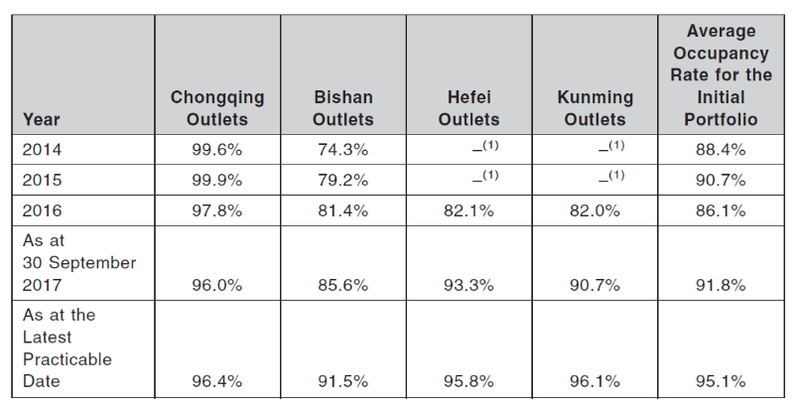 However, given that Chongqing outlets accounted for over 70% of its income last year, this makes me a little uneasy given the high concentration risk. 5. What's the actual gearing ratio? Based on its IPO prospectus (page 163), Sasseur REIT claims that its gearing ratio stands at 30.3%, which leaves them with enough room to take up more debt for acquisitions and growth if they need to. However, I'm not so certain about the accuracy of this because based on its unaudited pro forma financial statements (page 155), I arrived at a ratio of 40.8% for 30 Sept 2017 instead (630,155,000 / 1,552,002,000), and this is considered high if we compare it against the other REITs listed here. 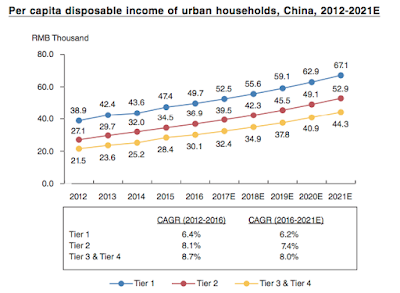 At 30 - 37 years remaining on its land tenure, this seems rather short at first glance, but there's apparently a good reason (page 110) when you consider China's Urban Land Regulations, which stipulate that maximum term is up to 40 years for commercial, tourism and entertainment use. The Chongqing outlets are held under the land use right for commercial use, limited to 40 years, which includes the time taken for developing the land. Sasseur REIT states that it will be able to apply for renewal of this land use right at least a year in advance of its expiry. Another point to note is that at 3.2 years, the WALE is quite short in contrast to other REITs listed on SGX. Lastly, as Sasseur REIT receives its income in RMB and pays out dividends in SGD, we'll be exposed to forex risk in this case, as with the other REITs listed here locally which derive a majority of their income from overseas markets. With its NAV at $0.773 per unit, the current IPO price represents a fair value to NAV (1.03 P/NAV ratio). Then again, it is hard to expect any decent REIT to price its offering at a significant discount to NAV. Moreover, don't forget that Sasseur REIT will be distributing 100% of its distributable income until 31 December 2019, with a promised yield of above 7% if all goes well for the next 2 years. I've also not really discussed much about its growth potential (highlighted on page 11) where Sasseur REIT has been granted a right of first refusal (ROFR) from the Sponsor, giving it the opportunity to acquire the Sponsor's Xi'an and Guiyang outlets, which commenced operations on 30 September and 9 December last year respectively. In addition, the Sponsor also manages 3 other pipeline properties in Hangzhou, Nanjing and Zhongdong Changchun, which were not injected into Sasseur REIT's current portfolio since these properties are not currently owned by the Sponsor. that explains why the IPO price is valued as such. Having seen firsthand on the Chinese consumers' shopping and spending tendencies, I'm inclined to apply for this IPO placement just to ride on this booming market, which I believe should continue to grow unless a serious economic recession hits China. 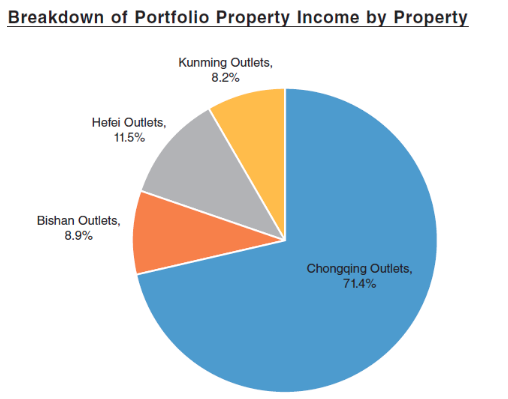 However, I'm wary of Sasseur REIT's income support model, high gearing ratio and over-reliance on Chongqing outlets. 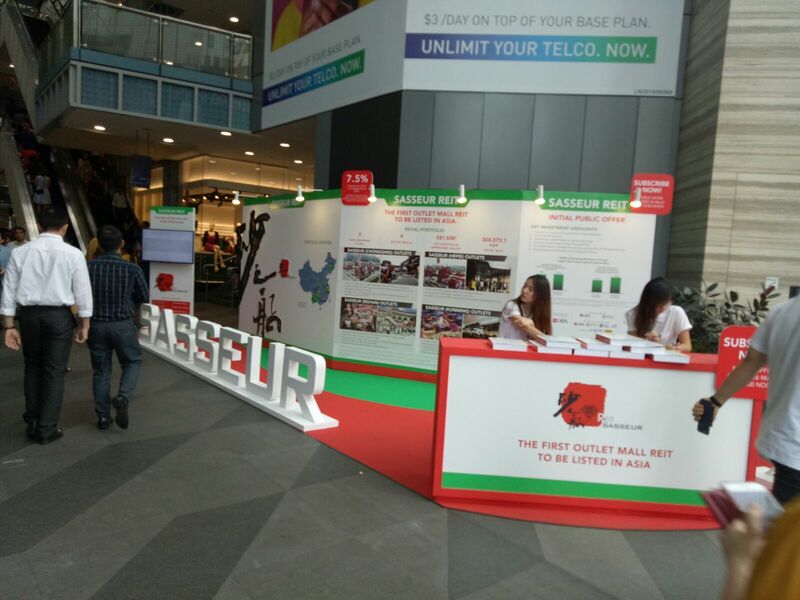 It is also interesting to note that Sasseur REIT seems to have invested quite seriously into its marketing efforts to push out this IPO, as seen from this huge booth that they set up at Raffles Place just to distribute its IPO prospectus...which you can easily find online here. Nonetheless, there was a good video that shows how traffic and activities at the outlet malls look like, although the girls manning the booth couldn't tell me where I could find the link so I can rewatch it back at home in detail. I was a bit disappointed as I had thought this was a golden chance to perhaps speak with its investor relations team, or at least an insider who would be able to share more insights into the malls that Sasseur REIT owns, but the girls manning the booth couldn't really answer my questions, saying that they were mainly hired to distribute the prospectus to potential retail investors in the area. With its unique offering and demand for its IPO, I won't be surprised if its share price flies after listing. It's worth a shot, but not a big one based on the risk factors I've identified above. Hence I'll be applying for a small tranche for now and watch this closely for further developments. Great analysis. I am however abit hesitant on China retail reits as china consumers are online shoppers and most of them shop from either alibaba or JD. In my last visit in some of their "famous" malls, there's not much traffic actually. Check out what alibaba and JD are doing to revive retail malls - omni channel strategy. If I really need to pick a retail reit, I would probably choose capitaland as they have a partnership with alibaba. Hello Dividend Queen! It is super useful to hear from someone who has physically checked out the malls before! Did you visit the main ones, or outlet malls? I'm keen to find out whether the outlets are really performing as well, or anywhere as well as their US or Italian counterparts in terms of foot traffic. 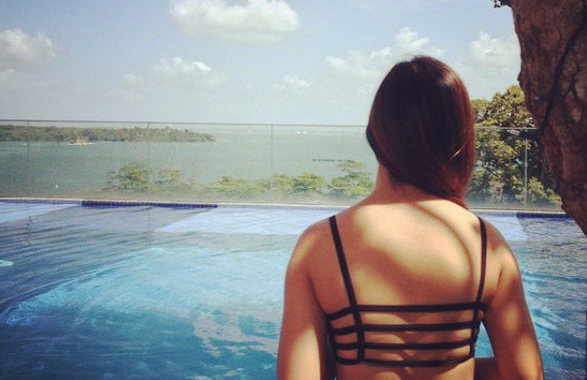 Thanks for sharing those links and your pick of Capitaland too! 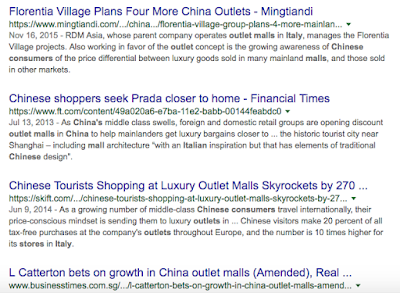 I was also initially keen on Capitaland Greater China Trust, but didnt really like how they have significantly lesser income from their 11 malls in contrast to Sasseur REIT, which relies on 4 outlet malls and none of which are in the main cities of Beijing or Shanghai. What are your thoughts on this? Would love to hear your take! To be honest. I am not for china retail reits even if it's capitaland. What alibaba and JD are doing at the malls are purely experimental to find a case to revive the malls and hopefully boost more online sales. It will take awhile for them to get the model right. Also, to clarify, the malls I went in China are not Sesseur malls. They are basically famous malls in the main cities. The reason why you see the chinese going crazy in outlet malls overseas is because of price (tax on foreign luxury goods) and also to avoid fake goods. In china, even if you were to visit the flagship stores opened by the actual merchandiser e.g. LV etc, you might still walk away with fake goods. Interesting writeup, I presume you are vested under the placement tranche? Based on my discussions with friends and family, I actually found that girls are more interested in this REIT than men, perhaps because girls can truly appreciate the value of a great outlet mall (unlike men)! Unfortunately for me this IPO is a bit too high risk and I dislike the way the Entrusted Management Agreement is structured. These are outlet malls in tier 2 cities in China, and as Lady You Can Be Free pointed out above, the retail scene in China is obscenely competitive. I am also somewhat skeptical that the REIT can hit the aggressive financial projections. I wrote an article on this as well with my analysis, but will probably not be applying for this IPO. Don't let me stop you! It is still a great buy if you are bullish on outlet malls in China. Especially with the guaranteed yield in the first and second year.